Ever find yourself sensing the lingering perfume or cologne of your favorite person, even after they've long gone? Life everlasting flowers get their name from that type of power—they release a scent like curry that lingers long after the leaves and stems are crushed. Scientifically named Helichrysum steochas, this plant is a member of the Asteraceae family, otherwise known as the daisy or sunflower family. This particular species has a natural properties, which makes it perfect for protecting the integrity of many different skin care products. It's special power, however, lies in its natural fatty acids, ursolic acids, and oleanolic acids, which have antioxidant and moisturizing properties. 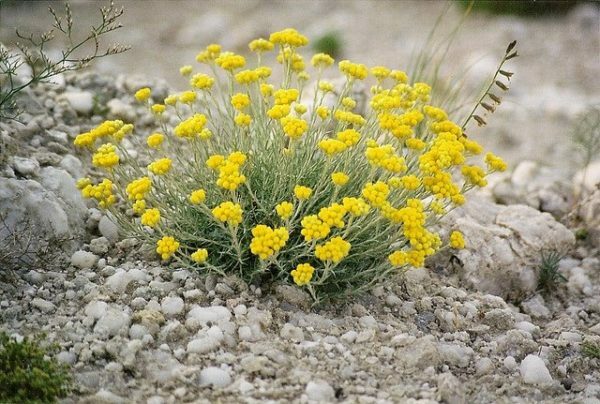 A perennial plant, life everlasting grows to about one foot tall and three feet wide, flowering from July to August. It requires well-drained soil and can grow in soils that are nutritionally poor, though not in the shade. It can tolerate drought, but not excessive moisture. Those who like to make their own perfumes or fragrances also use life everlasting oil, as its scent is warm and sweet. Ursolic and oleanolic acids are also super protective and supportive. Another benefit of life everlasting is that it can help reduce the appearance of dark spots and brighten your skin's look. Have you used life everlasting for your skin, or for other reasons? Please share your tips.